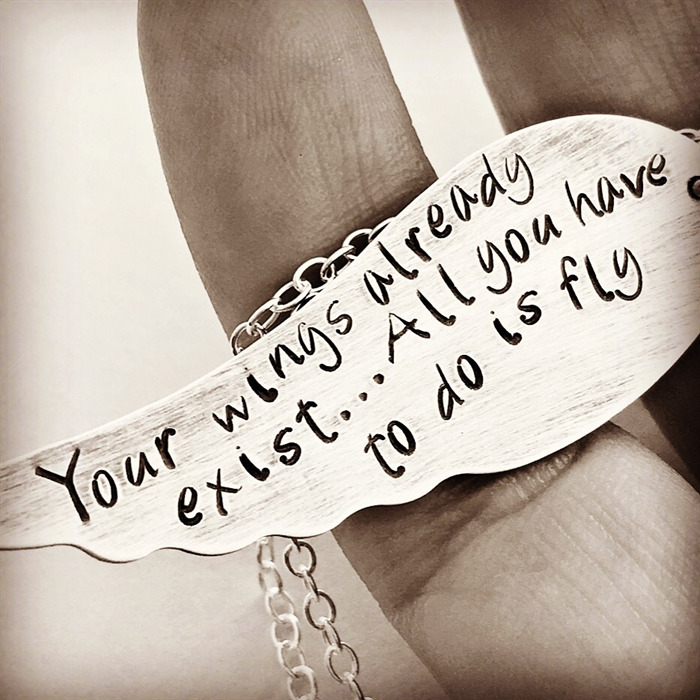 This stunning wing makes a great gift for many occasions and is a lovely inspirational gift especially for daughters, friends or graduation. 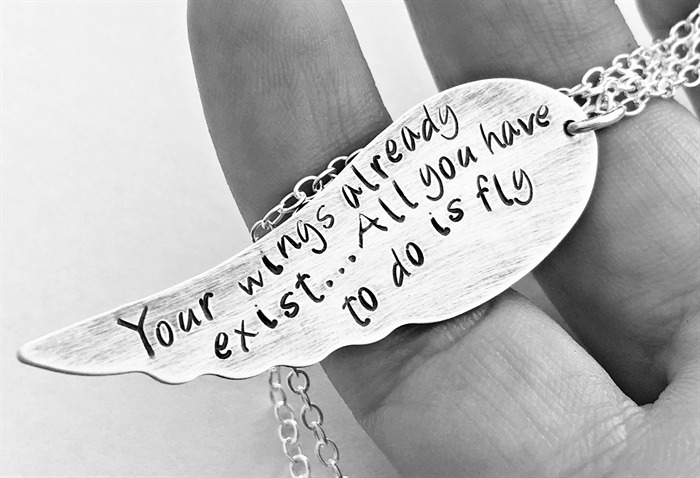 The wing is sterling silver and you may change the words if you like, just let me know in the message to seller section at checkout. This one has the quote 'Your wings already exist...All you have to do is fly'. 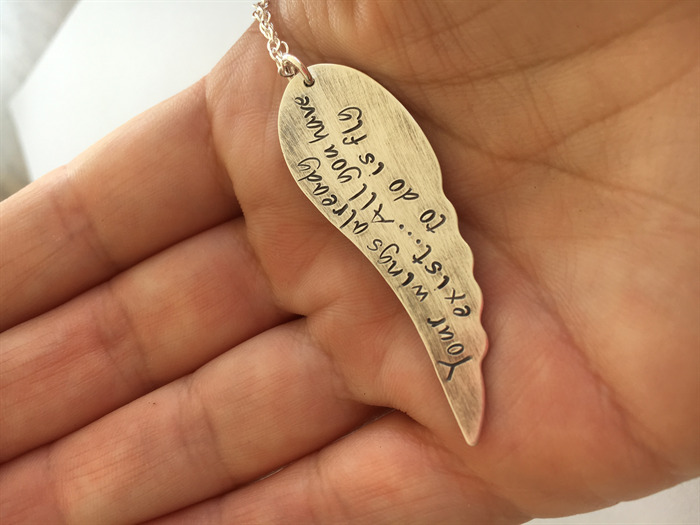 The wing measures 1 7/8'' and is attached to a beautiful fine sterling silver chain.